South Korean group visits south-central province to discuss investments. Leaders in south-central Binh Dinh province have confirmed that a South Korean investor has conducted a fact-finding tour and sought investment opportunities at a meeting with provincial leaders on August 16. Mr. Nguyen Ngoc Toan, Deputy Director of the Binh Dinh Economic Zone Administration (BEZA) at the Binh Dinh Department of Planning and Investment (DPI), told VET that Mr. Chang Bok Sang, President of the CJ Group, expressed an interest in investing in building an animal feed processing plant, a pig breeding farm, and a seafood processing plant. The animal feed processing plant will be located at the Nhon Hoa Industrial Zone in An Nhon town. Construction will begin in September 2016 and is expected to be completed in December 2017, with total investment capital of $15 million. Mr. 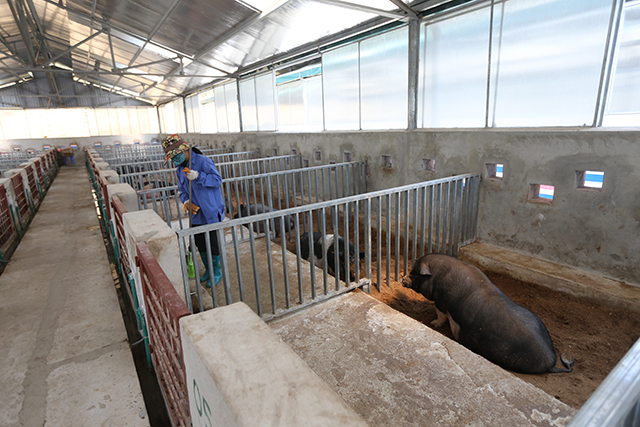 Sang also proposed that provincial leaders arrange for the lease of 120 ha of land to construct the pig breeding farm and requested information on related investment policies in the province. The CJ Group arrived in Vietnam in 1998 and operates in diverse fields such as agro-fishery, bakeries, the development of CGV cinemas, food production, logistics activities, and real estate, and cooperates with VTV in producing and distributing films. It will further expand its investment in Vietnam in the time to come. It now owns 4 per cent of Vietnamese food company Vissan and plans to raise its stake in the near future. In agriculture it has invested in four animal feed plants with combined capital of $200 million. CJ also plans to have a food safety center in Vietnam by 2018 and will work with universities to conduct training courses on food safety and will send professionals from South Korea to share knowledge and experience with students. Binh Dinh has an area of 6,039 sq km and a population of 1.51 million people. Registered FDI stood at $1.7 billion in 59 projects as at the end of 2015, according to the Foreign Investment Agency (FIA) under the Ministry of Planning and Investment (MPI). The Nhon Hoa Industrial Zone is located in Nhon Tho and Nhon Hoa communes, 24 km from the provincial capital of Quy Nhon and Quy Nhon Port and 18 km from Phu Cat Airport. It has a favorable investment environment and advantages in natural conditions and geographic location.